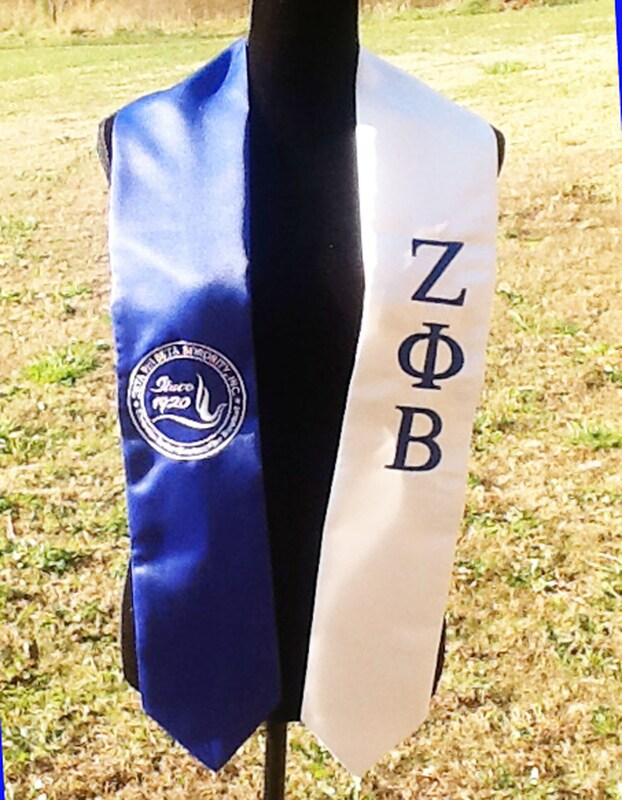 Zeta Phi Beta Graduation Stole - embroidered with ZPB Greek Letters on White Side and Dove Seal on the Royal Blue Side. . 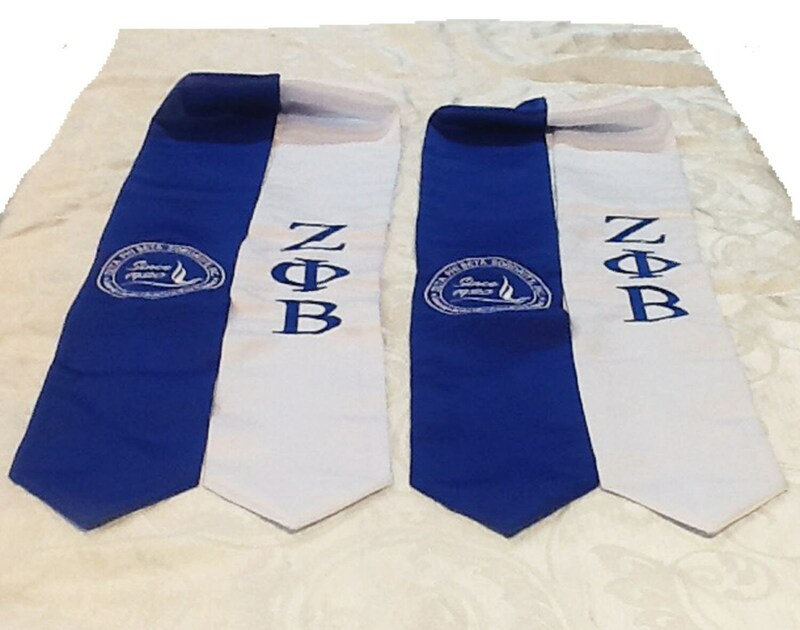 Perfect to use on graduation day to show off your Zeta pride - great keepsake to recognize/celebrate your graduation /academic achievement. 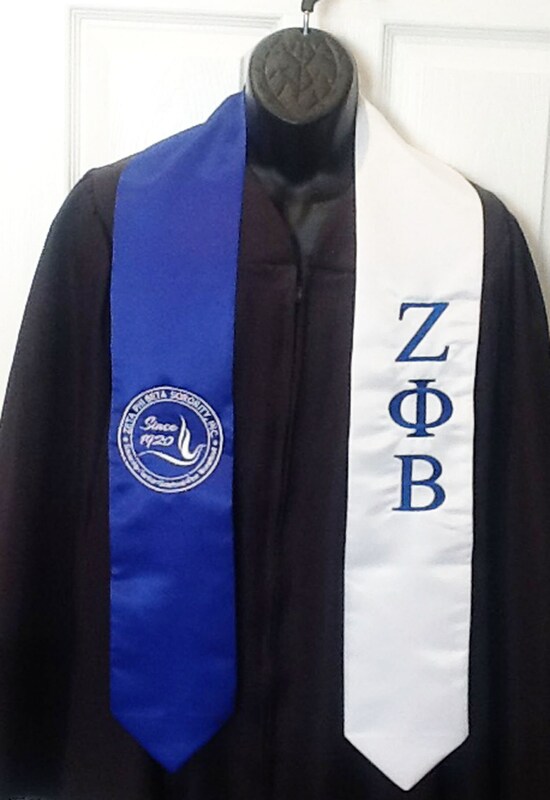 Great gift for a graduate. 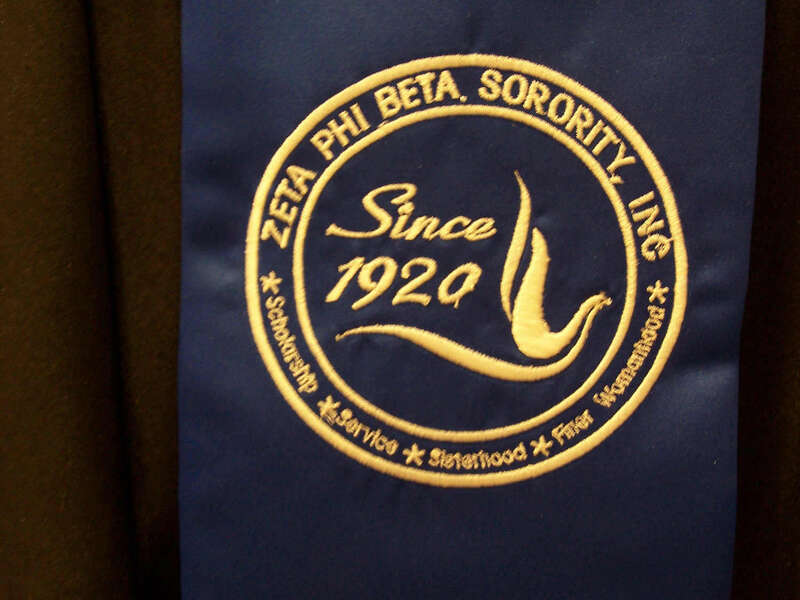 Professional embroidered with Greek Letters and shield. We ship Monday thru Friday via USPS, first class mail (3 or 4 day transit time).